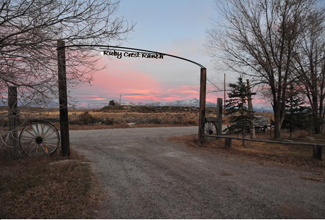 A full service guest ranch located in the beautiful Ruby Mountain foothills. Offering customized ranch vacations for horseback riding, cattle drives, fishing, wild mustang viewing, ghost town trips. Also offering for rent a private log cabin at the base of the Ruby Mountain Wilderness. Great for D.I.Y. mule deer hunting where hunter pressure is low and another at the Ruby Marshes where there is great fishing and waterfowl hunting. 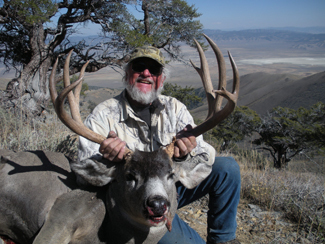 Nevada Master Guide Bill Gibson offers quality guided hunting trips for deer, elk, antelope, big horn sheep, mountain lion, waterfowl, upland game birds. Serving the public for 35 years. Excellent references available. Official Registry for the Kiger Horse. A nationwide registry and member association offering friendly service and prompt turn around on all registrations. 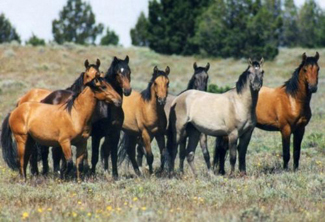 A registry that is dedicated to the preservation of this unique horse, adhering to the Kiger breed standard as defined by the BLM Kiger Management Plan. Kiger related activities planned year round. Professionalism with nationwide representation.